I have been a patient of Dr. Wasserlauf for about 18 years. He is an extremely competent, dedicated and caring physician. He listens to your concerns and discusses options and makes recommendations so that you are able to make the right decisions. He is very gentle and ensures your comfort and he stays in touch after procedures. I feel very lucky to have found him! I have been going to Dr. Perry Wasserlauf’s office for years. He is very gentle and staff is very friendly. I highly recommend Dr. Wasserlauf and his staff to everyone. I have been referring my patients to Fairfield Periodontics for over 8 years and my patients and I have nothing but wonderful things to say about their specialty practice. The doctors and staff are incredible. They go above and beyond for our patients. They make everything so easy. 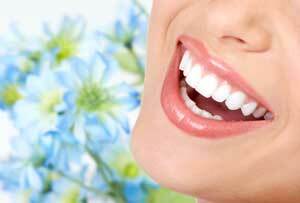 Please use this form to request an appointment with Fairfield Periodontics Fairfield Office. A member of our staff will be in touch to confirm the details of your appointment. Thank you! Please use this form to request an appointment with Fairfield Periodontics Milford Office. A member of our staff will be in touch to confirm the details of your appointment. Thank you!